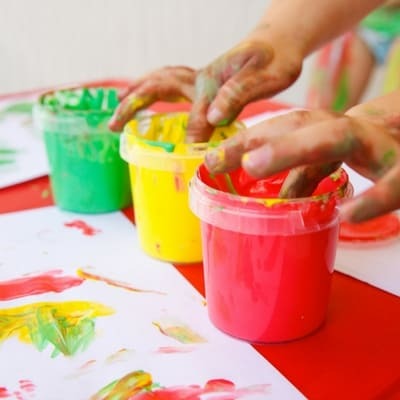 I know that many people avoid finger painting with toddlers (it’s messy – I know! 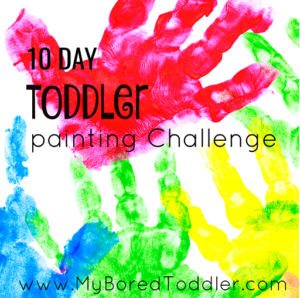 ), but I’m hoping that after working your way through some of our other painting activities in our 10 Day Toddler Painting Challenge, you’ll be ready to give finger painting a go! If you haven’t started our challenge yet you can join in HERE. I’m hoping everyone is willing to embrace some messy play today with today’s challenge! I know that when we started our toddler painting challenge many of you mentioned the mess as one of the reasons you avoided it. Yesterday you painted with trucks and cars which should have got you into the ‘messy spirit’ and I actually think that finger painting is an easier challenge. Yes, they’ll get messy, but as we all know the paint does wash off! 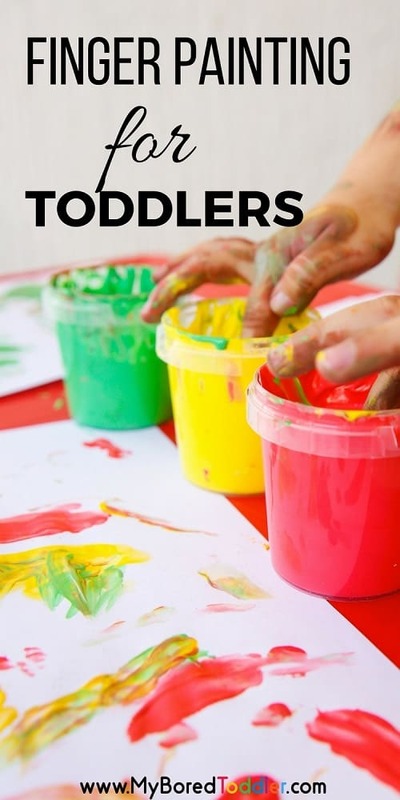 It’s one of my favorite toddler painting ideas! If you would like to sign up for our FREE 10 Day Toddler Painting Challenge you can sign up HERE. 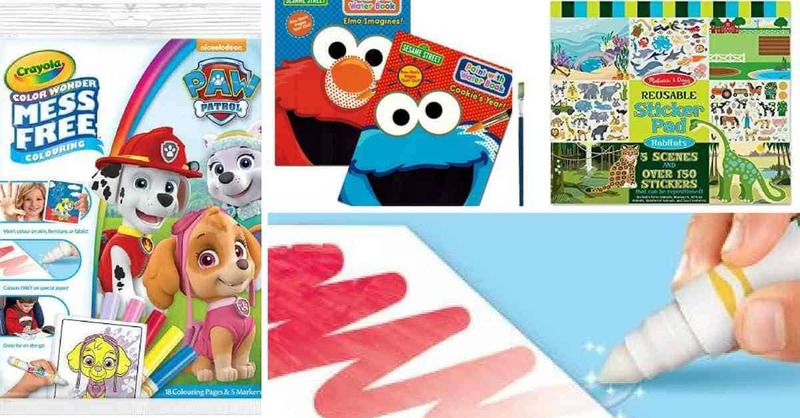 As always you can find my full list of recommended painting items for toddlers HERE. Paper Plate or something to put the paint on – these are good for finger painting. This activity is pretty self explanatory! 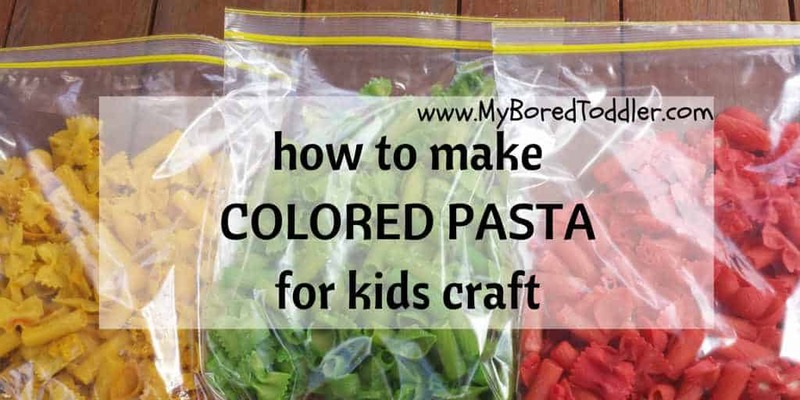 Give your toddler the paper and the paints and let them go! If they have never used their fingers to paint before try to show them what they can do – dots, stripes, zig zags, patters and drawing. Have them mix the colors together. The main thing you want them to do is create! « Painting with trucks and cars!